IF YOU have chosen to buy a rug from us, thank you. Feel free to call our base in Bristol (+44(0)117 973 4031) for us to answer any questions that you might have about buying a rug. Or you might prefer to visit us in Bristol to see samples of rugs and enjoy a good cup of coffee – get in touch via the Contact page to make arrangements. Don’t forget, to get an idea of what our rugs will look like in your setting, click on picture it, where we can superimpose any Land Rugs design into a digital picture of your chosen setting for the piece. Your purchase will promote the manufacture of ethically produced, hand woven rugs using long lasting, traditional Nepalese and Tibetan techniques free of exploitative child labour. You will also be contributing in a small way to the education of Nepalese children. Not only that, but by buying an art rug, you will be helping us to fulfil Benveniste’s wish for people to see these designs for years to come. Our rugs cost £440 per square metre – a typical sitting room rug is 3.2 sq m (7′ x 5′) and costs £1,408 with free UK delivery. They are hand woven by traditional methods, and ethically produced by our weavers in Kathmandu Valley, Nepal before being flown over to the UK for distribution. Pay 50% when you order and 50% later on delivery. Remember – free delivery in the UK is included in this price. Full refund if the rug is still in perfect condition. To begin the process of buying a rug, we first suggest you browse all four Galleries to choose the individual design that you would like. Make a note of the rug name and size. Once you have chosen your rug design, check the size is correct for your setting. If it does not fit, contact us by phone or via the Contact page with the name of the rug and the size you would like it to be; we will then give you the new price for your size (larger or smaller). All changes to sizes are done in proportion (keeping the aspect ratio), so that the design and colours remain the same. You can then order your rug by telephoning our Bristol base on +44(0)117 973 4031. It takes 10-12 weeks from the day you order to delivery in the UK. We strongly suggest you have an underlay for your rug; this will help it last longer and make it more comfortable to walk on. All orders for rugs must be paid for in full, before delivery to your home/office. When you first place an order, you must pay 50% of the total price; this can be done by Internet bank transfer or by cheque. 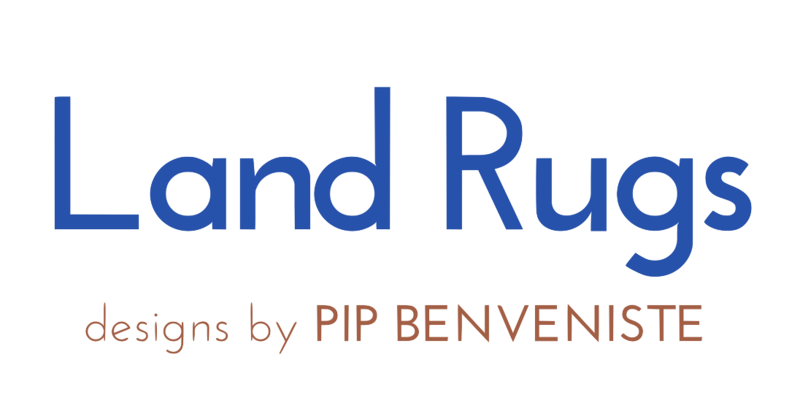 Contact Land Rugs by phone (+44(0)117 973 4031) or via the Contact page to discuss your preferred method of payment. Once this transaction is complete the weaving process for your rug begins in Kathmandu. When the rug arrives from Nepal, you must pay the remaining 50% in full before delivery to your address; delivery anywhere in the UK is free. Overseas shipping can be arranged on request and details of any extra costs supplied. The rug will be shipped to you as soon as it has been checked in our Bristol workshop. You are also welcome to make your own collection from Bristol. With our free ‘picture it‘ service we invite you to send us a good digital image (jpg) of the setting for your chosen Land Rugs design. We can superimpose the design in that setting and return it promptly to help you make your choice. If you like the design but the size is wrong for your setting, then contact us by phone or via the Contact page and we will work out new sizes and prices. There is a standard size for rugs, but all rugs can be increased (or reduced) in size, proportionately. Find out more about art rugs as a philosophy and discover how it all started. View what’s been said about us in the press section.